If you eat frozen or processed dishes, whether at home or restaurants, chances are good that you consume mislabeled mystery meat with murky, unappetizing origins. U.S. meat inspection laws have been diluted over the past few years for imported meats. And U.S. loopholes for stealth use of imported mystery meats are larger than a truckload of cattle headed for the slaughterhouse. Europe's 2013 horse meat scandal may be the proverbial "canary in the coal mine" for processed foods in the U.S., signaling troubling revelations to come about the "meats" in frozen entrees, processed meat products, and your favorite fast food fare. "Most people thought we were entering uncharted territory when it emerged that horse meat had been found in burgers and other beef products. But there was a sense of deja vu for anyone who remembered the Australian meat scandal of 1981. "It was revealed by an alert food inspector in San Diego who thought that three frozen blocks of Australian beef looked darker and stringier than they should. His instinct was right: it emerged that horse, donkey and kangaroo meat, masquerading as beef, were being exported to the US. "Papers released last November after a 30-year freedom-of-information battle by the journalist Jack Waterford showed that the scandal was bigger than originally thought, with meat destined for pet food being sold for human consumption. "'The flesh of donkeys, goats, kangaroos, buffaloes and horses, killed in the field and without regard to any consideration of hygiene . . . was used indiscriminately to produce food for human consumption,' said an appendix to a report into the issue." IKEA meatballs, Taco Bell tacos, Birds Eye spaghetti bolognese, frozen entrees as lasagnas, moussakas, and shepherd's pies... the list of horse-meat tainted foods found in 2013 in Europe grows daily. Of course, that's because European countries are intentionally testing for improperly labeled meats, and publicly releasing results of testing. Is the U.S. Testing Imported Meats? Is the U.S. testing for mislabeled meats at U.S. grocery stores and food purveyors? Uh... sort of. Sometimes. Are we consuming horse or other horrifying meats of murky origins in our fast-food crunchy taco supremes and deluxe veggie works burritos, or in freezer-section pot pies, lasagnas, enchiladas, and those delicious egg rolls? Maybe. Likely sometimes. The average American eats about 260 lbs of imported foods each year. About 17% of the U.S. food supply is now imported, and required to be labeled as imported. From 2009 to 2012, the USDA quietly eliminated 60% of foreign meat inspections. In 2010, the USDA audited only six countries, down from nearly 20 in 2009. The saving grace for American consumers is that imported meats are required to be clearly labeled, right? So we can make informed choices, right? "The mandatory country of origin labeling of imported meat and poultry requires that if imported meat or meat products are intended to be sold intact ... the country of origin labeling is conveyed to those market segments and recipients. "If the imported meat or meat products are further processed in the United States, country of origin labeling is no longer required on the newly produced products or subsequent products made from them." If a major industrial food corporation in any way "processes" in the U.S. imported meat or "meat products," then country-of-origin labeling is no longer required. Therein lies the loophole that allowed horse meat and similar into European processed foods by Birdseye, IKEA, Taco Bell, and innumerable other manufacturers and outlets. The same loophole exists in the United States today. Undoubtedly, a major portion of processed food sold in in the U.S. contains imported "meat product" ingredients. Undoubtedly, you are eating mystery meats of murky origins if you regularly partake of fast foods and frozen and processed foods. Is the US federal government reacting to the European horse meat scandal by conducting emergency testing of the food supply, as are all western European governments? Not that I can find. Just the opposite, in fact, when the White House and Agriculture Secretary Tom Vilsack recently "suggested that the automatic budget cuts, known as the sequester, could force the government to furlough all federal meat inspectors." The unappetizing truth is this: If you eat frozen or processed dishes, whether at home or restaurants, chances are good that you consume mislabeled mystery meat with murky, unappetizing origins. Could you unknowingly be ingesting horse meat? Maybe. What Can You Do to Avoid Eating Horse Meat, Other Mystery Meats? "We have always made every one of our hamburger patties ourselves using only whole chucks from premium cattle selected especially for In-N-Out Burger. We pay a premium to purchase fresh, high-quality beef chucks. We individually inspect every single chuck we receive to make sure that it meets our standards. Then our highly skilled, in-house butchers remove the bones. We grind the meat ourselves and make it into patties ourselves." 2. 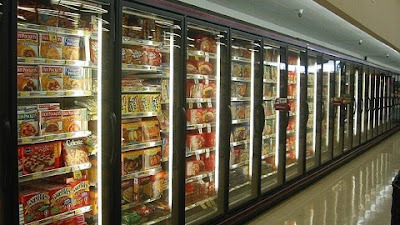 Buy higher-quality frozen foods with clear labeling. Cheap frozen, processed foods are cheap for a reason: cheap, low-quality ingredients such as mystery meats. "Cooking for yourself is the only sure way to take back control of your diet from food scientists and food processors, and to guarantee you're eating real food and not edible food-like substances..."
...or just don't eat meat :) very interesting (and scary) article. Thanks for sharing!! Lauren, thanks for your comment! Jenn, Chris Kimball of America's Test Kitchen, who is normally not nervous or over-cautious about U.S. food systems, flatly stated on a recent broadcast that he would never buy ground beef because of both additives and cattle parts (especially bones) that are commonly (and quietly)ground into "ground beef." He advises everyone to buy and grind their own beef, just as you do. Thanks for your comment! Really i dont like horse meat. After reading this informative post i never try to eat horse meat. Thanks for sharing this useful information Deborah. I always try to eat Quality of beef.